Christmas Down Under has its perks, but it doesn’t compare to picture book scenes of snow-capped pine trees, toasty fires and gloriously ugly knitted jumpers – which is what Christmas in July is all about! You’re more likely to spot a roo than a reindeer, but this round-up of Australia’s most fabulous Christmas in July festivities will delight even the Scrooge-iest among us. All July long, Sovereign Hill’s period streetscape will be decked with festive garlands and trees while Chrissy carols ring out through town. 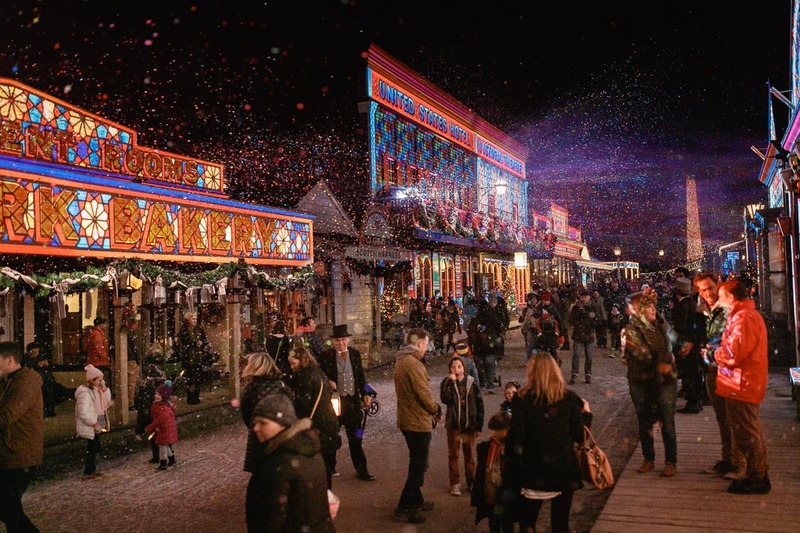 Nightfall is when the magic really happens, as Sovereign Hill’s 19th century–style façades along Main Street glow with dazzling light and projection displays that give Winter Wonderlights its name. Each July, Cradle Mountain transforms into a gorgeous winter wonderland, brimming with Christmas spirit. Make a weekend of it and stay at the Cradle Mountain Hotel, where a lavish, traditional Christmas feast will have you feeling merry and bright in no time. The mercury regularly dips below freezing, so you can expect a very cool Yule indeed! There’s no need to ‘dream’ of a white Christmas in the spectacular Blue Mountains! There are exciting events held across the region, and some very attractive accommodation packages. Best of all, the Blue Mountains’ Yulefest goes for three whole merry months. Expect unrivalled hospitality and picture-perfect views to boot! Christmas in July comes but once a year to Busselton, but oh what a time it is. Soak up the seaside cheer and climb aboard Dwellingup’s vintage restaurant train, Etmilyn Diner, for a sumptuous five-course Christmas in July dinner. The region also abounds in bespoke wineries for you to enjoy a festive tipple – or two! July brings with it Sicilian celebration Buon Natale to Golden Grove Estate Winery in Queensland’s Granite Belt. Swapping the turkey for gnocchi, the roast ham for juicy meatballs, and the Christmas pud for cannoli, you’ll be initiated into the hallowed world of Sicilian Christmas feasts. Mr Claus won’t make an appearance, but La Befana – the old witch who delivers presents – just might! All aboard the PS Murray Princess for a European-style Chrissy in July cruise on the Murray! A smorgasbord of Yuletide gourmet goodies awaits you, along with belly-warming mulled wine and plenty of great company – you may even be treated to a visit from the jolly bloke in red himself!